This tool is your portable NetApp Stats View. You can monitor all NetApp stats value for volumes, luns and qtrees. You need two scripts (php and bash), which you have to bring to a unix machine, whith a webserver and a keyless ssh connect to your NetApp. Of course you need to bring your iPad in the same network as your NetApp is in. You can download the scripts here. 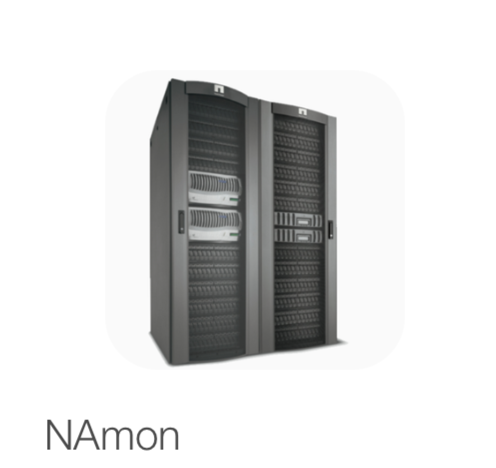 download NAmon_scripts.tgz Please add your NetApp IP-Names/addresses within the script to reach your NetApp heads. For testing this tool you can download the app for free and test with random generated values for volumes, luns and qtrees. You can test the integration of the two downloaded script in your environment with just go to the url with your webbrowser and download the json file. If the file is a well structured json file, everything should be fine. If you decide it's your tool, you have to take an inapp buy to open the access to input your own webserver address (on the setup screen), where you have put the downloaded script to. This app is tested with a NetApp 7 mode metro cluster. Without access to a NetApp in clustered mode, I can not guaranty, that it will work in such an environment. If you want to test this, please contact me, for a testflight session, so it's without any cost for testing it.